There is nothing you can bring to me I need - I am the uncreated One, remember? I have no needs. I have no need for your works or deeds or honors or accomplishments or your position. And I can see that you have little need of them also, as your back is quite bent beneath the load. 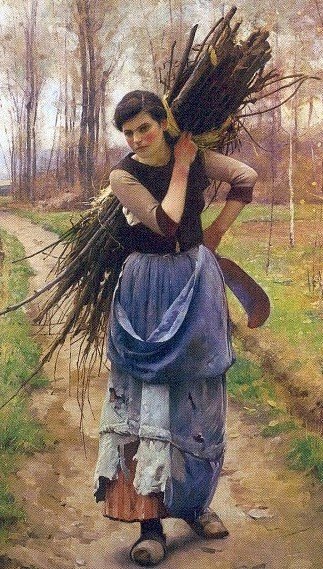 How long will you last carrying such weight? Will you make it to the end of the road? It could be a long road, you know, this journey you call your life. Why not lay it all down and come to me empty-handed? . . . That's a thought. Isn't it lovely? I love art and hunting down paintings is half the fun of writing this blog.